You can spend hours upon hours a week cleaning your home, only to find it’s never as sanitary as you might like. Those hard-to-reach places, the areas that are easily forgotten and those tough kitchen, carpet and upholstery stains can all sully the appearance of your home. If you really want to breathe a little life into your house then why not choose One-Off Cleaning’s specialists to help you? Our staff excel when it comes to Shoreditch one-off cleaning services, and we’re the best in the business for you and your cleaning needs! Our dedicated cleaners will thoroughly clean every single inch of your home using the best methods, for a fantastic spring clean that can’t be compared to. If you hire our company for your home then you’ll never need to worry about deep cleaning your house again! Find out more, and hire our N1 one-off cleaning service for your home by calling us now on 020 3397 3282! There are lots of companies in the area that can help you with your E1 one-off cleaning, but only our company can provide you with a full and complete professional cleaning package that isn’t going to cost you the earth. Our services are ideal for you if you want to have your home thoroughly sanitised, and whether you want our help for your annual spring clean, to save you the hassle of deep cleaning, or even if you’re moving to a new property, our company is sure to be able to help you! Our competitive and affordable prices and rates make us one of the best choices of company for your home, and with our low-cost and high-quality cleaning help, you’re guaranteed to be more than impressed! Shoreditch is an area of London found in the London Borough of Hackney, in the east end of the city. The area sits to the immediate north of the City of London, making it a popular place for those who work or regularly find themselves in the city. 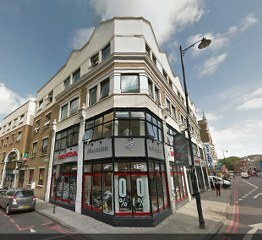 Shoreditch is known to be a place of culture and artistic history, and has many sites of interest surrounding the arts. England’s first playhouse was erected in Shoreditch in the 1500s, and although it no longer stands, the site is commemorated with a plaque. There were also a great number of theatres in the Victorian times, making Shoreditch strong competition for the West End and its theatrical productions. Though these buildings no longer exist, there are a great many other historical sites to explore, including the Shoreditch Church, which dates back to the 1700s, as well as the Geoffrey Museum, which is dedicated to the history of English domestic interior. With so much to offer, it’s no wonder that Shoreditch remains a fascinating and exciting place to explore. Our Cleaners Can Help You With Your Shoreditch One-off Cleaning! 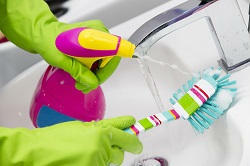 You’ll be in the safest and most experienced hands possible if you hire One-Off Cleaning for your one-off cleaning. Our cleaning company has long years of experience, and we help many people to get a cleaner Shoreditch home every single week! Save yourself the back-breaking effort of a deep house clean, and hire our speedy and efficient teams to get the job done for you! Our competitive rates make us an excellent choice for your home, so if you want the best in cleaning help in N1 then call us today on 020 3397 3282!